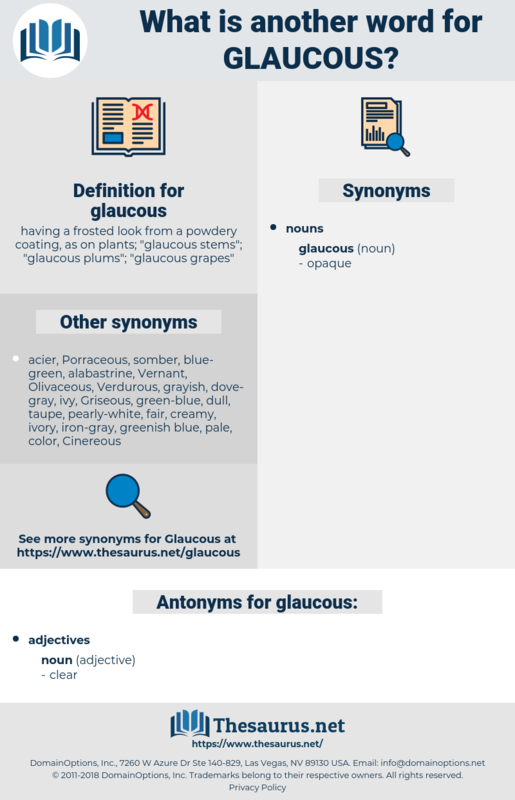 What is another word for glaucous? 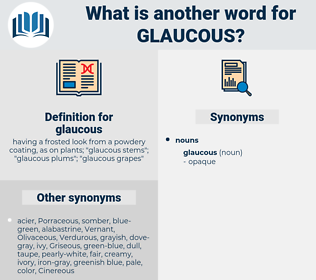 having a frosted look from a powdery coating, as on plants; " glaucous stems"; " glaucous plums"; " glaucous grapes"
The lighthouse stood only a few feet above the sea, at the end of the point, and immediately before it the water dropped to sinister, glaucous depths. The water itself was a deep, glaucous gray, holding strange lights besides the golden path of the moon.